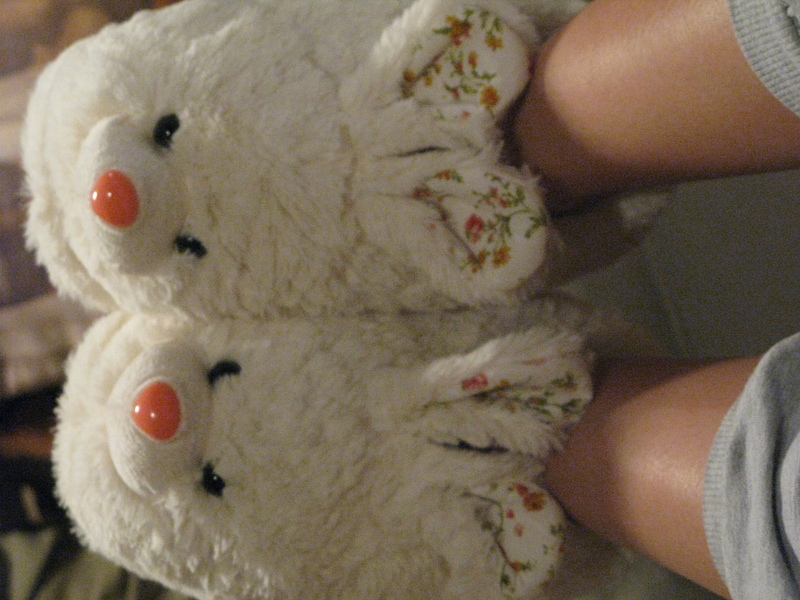 Tonight I’m comfy in my new bunny slippers from Forever 21! $12.80! Ahhh I must get those!!! 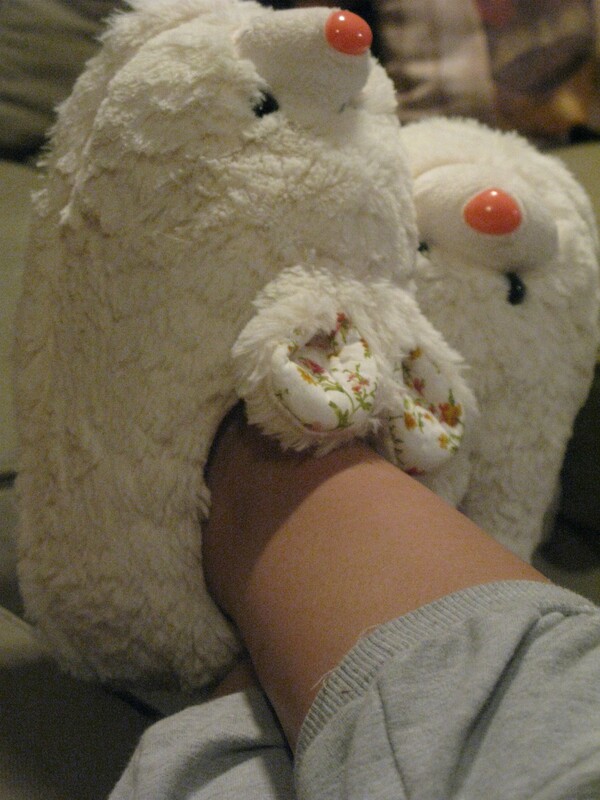 Yes you must they are so comfy! 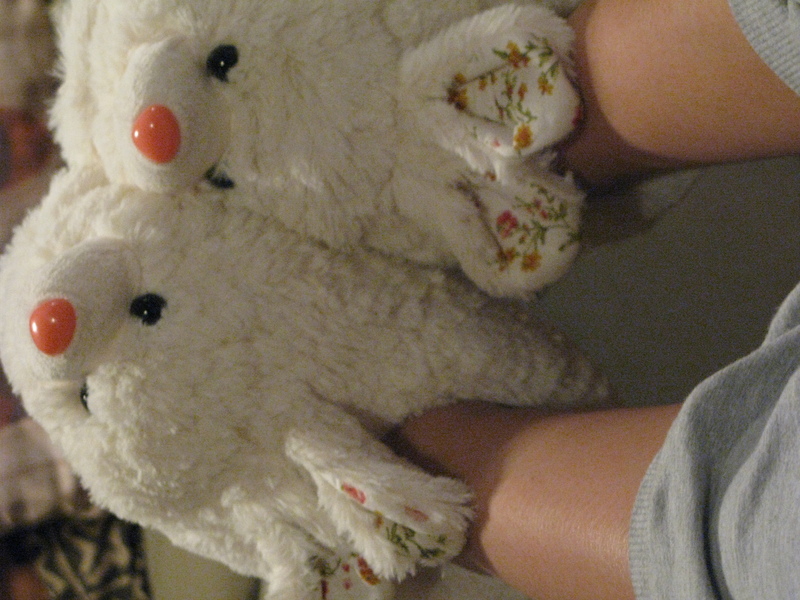 I love your bunny slipperz! Where did you get them?